Oh my, how things have changed in six months time. When I last reviewed FIFA 18 on the Switch, I walked away just a little underwhelmed at the experience. It wasn’t what I was used to on more powerful consoles. The engine was different, the game played slower, there were less modes and features. And while all of that remains somewhat true, I’ve put countless hours into FIFA 18 since then. I played it on the airplane to and from San Francisco for the NISA event. I play it in bed nearly every night. I kill time with it. It’s probably one of the best and most efficient gifts I’ve ever received. In a gaming sense, FIFA 18 on the Switch became my comfort food. Kind words for a rather average game, no doubt. And I wasn’t even expecting a World Cup update either. But it’s arrived. I’ve played it a metric ton as well and I’ve got some news for you – it’s all quality. Well, I say that because I haven’t experienced the “crashing Switch phenomenon” that might be plaguing some of the FIFA gamers out there who also have the update. I can’t speak to that. My update works just fine. The main menus in the new update. Kick-Off is nice if you just want to hop right on into the action. Otherwise, select the 2018 FIFA World Cup Russia mode and embark on your international journey. More importantly, my update looks just fine. The aesthetics of the game are so darn appealing now. FIFA 18 already feels “official” because of the quality EA Sports puts into it but to have an update with the look and feel of a looming World Cup just takes it to another level. The menus look great, navigating them feels easier and there’s some new stuff to do here. Your Kick-Off just lets you hop right into to exhibition, there’s Local Multiplayer and Ultimate Team modes for you to use as well. 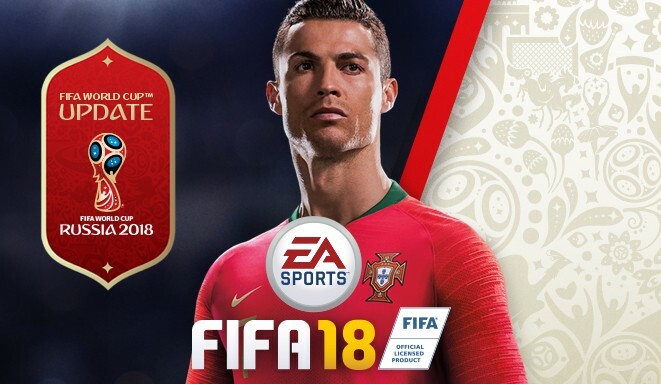 The reason you are here, however – the meat and potatoes of the update – is the 2018 FIFA World Cup Russia mode. It does not disappoint. All 32 teams present for the World Cup. 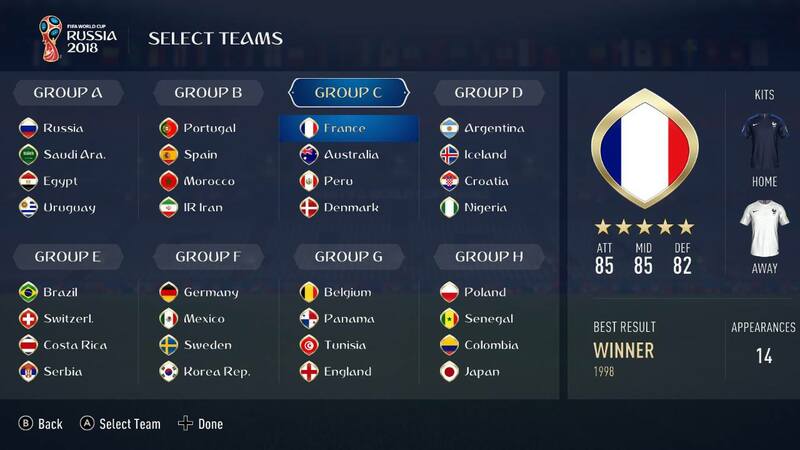 You can change some of them out for other teams as well – such as Italy or Chile. The game also gives you some history on the squads. Looks pretty neat. First, a quick back story. I’m a unique soccer fan in that I’m American but never really identified with the United States Men’s National Team. Truth be told, I loathed soccer for many years. Thought it was soft. Felt that way because I was told to feel that way as a kid. And then in 2006, I was old enough to form my own opinions and people started talking about a “World Cup.” I asked the right questions, was impressed by the answers and thought I’d watch it and see how I felt about it. The first ever international soccer match I saw on television was France against Spain. I was enthralled. I fell in love. France has been my team ever since. Playing with them in this game is not only a video game delight but you feel the tension of the World Cup game mode while you are playing it. I was immediately sucked in and had the most fun I’ve had in a long time playing a sports game. It just means more when you are choosing a country and competing with other countries for the ultimate prize in soccer. As far as the looks of this game are concerned, the World Cup update has brought a lot to the table. Everything looks great now. There’s pageantry, the menus and graphics look sublime. Really clean. Great look. Speaking of picking countries, one of the neat things about this update is that if you live in Chile, Italy, Netherlands or the United States, you can place your national team in the World Cup mode and pretend nothing bad ever happened in real-life qualifying. Alternative Universe World Cup, if you will. It’s a nice little thing for fans of those teams. Plus, the general ability to customize a World Cup in a game this big is just satisfying. Player models look much improved in this update. 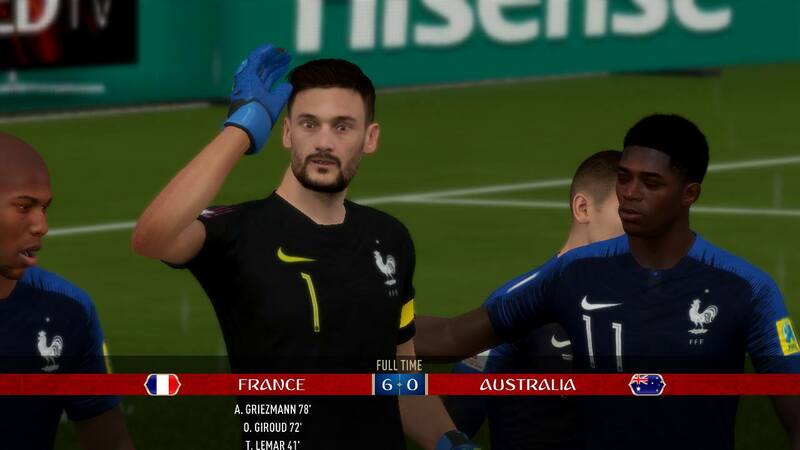 Not sure how much work was done but Hugo Lloris actually looks like, well, Hugo Lloris. Well done. It’s the World Cup, man! 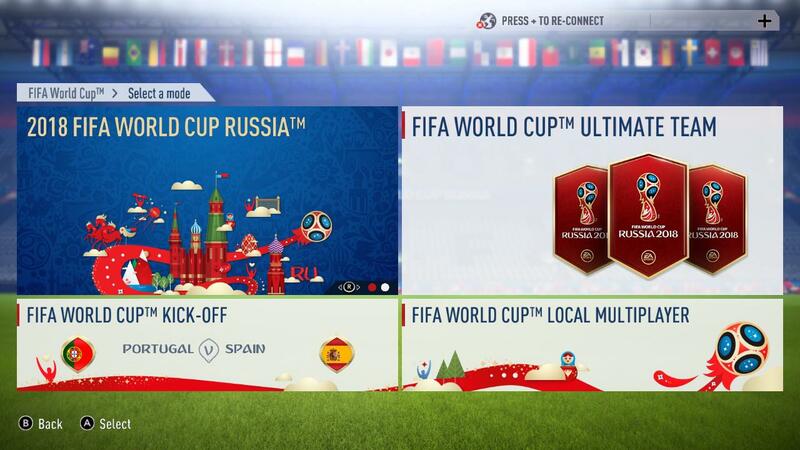 We are mere hours away from the actual 2018 FIFA World Cup in Russia and I can not think of a better way to kill some time than playing the FIFA 18’s World Cup mode during this month-long festival of football. I know this update crashed the console for some. I know it’s been buggy for others. I know FIFA 19 isn’t that far off either. But if you are a soccer fan who owns a Switch, FIFA 18 is mandatory for the next month. 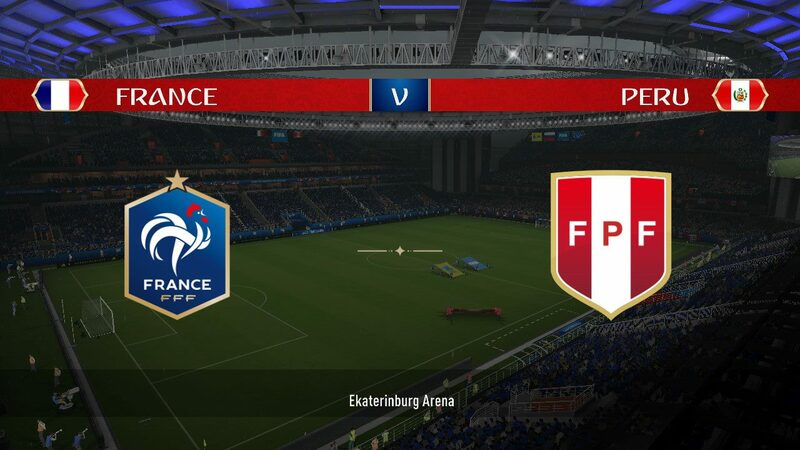 This World Cup update brings a lot to the game and makes it more appealing. It makes the game better. I wasn’t sold on the title when I first reviewed it. It’s grown on me since then. But now? It’s an absolute keeper. Enjoy it and the World Cup it aims to simulate. Yummy. All those delicious World Cup flavors. Best when eaten every four years.